ONE who practices Stellar Healing should possess a much more detailed knowledge of the stellar, or astral body than is necessary for the successful practice of natal astrology. Such detailed information of the composition of the finer body is as important to the stellar healer as is detailed knowledge of physical anatomy to the surgeon. Astral means pertaining to the stars; therefore it is quite fitting that the science of the parts and structures of the astral body should be called stellar anatomy. It has been fully explained in Courses V and IX that just as the atoms of the physical body are composed of neutrons, positrons and electrons in various relations, so the chief elements of the astral body are made up of the Drive for Significance, reproductive desires and nutritive desires. The reproductive desire is the positive expression of the Drive for Significance even as the positron is the positive factor of an atom, while the nutritive desire is the negative expression of the Drive for Significance—which may be compared to the neutron—even as the electron is the negative factor of an atom. Neutrons, positrons, electrons, drives for significance, reproductive desires, and nutritive desires are all energy fields. The energy fields represented by the drives for significance, reproductive desires and nutritive desires have been derived from and formed by states of consciousness. Even as neutrons, positrons and electrons combine to form all the various chemical elements of the physical world, so do drives for significance, reproductive desires and nutritive desires combine to form the substance of the astral body. As you are aware, the physical body of man contains other things, such as the uncombined mineral salts, air, water and substances like the nails and hair which are secreted by protoplasm, but the chief substance of the material body is protoplasm. So also, while man’s astral body contains other things, it is chiefly composed of psychoplasm formed by states of consciousness. The astral body, which can live independent of the physical, is composed of stellar substance which through the action of states of consciousness has been converted into psychoplasm. And just as the protoplasm of the physical body is organized into living cells so the psychoplasm of the astral body is organized into living, intelligent stellar cells. These stellar cells, derived from states of consciousness, are like physical cells in that they represent definite compounds and are capable of limited intelligent work. The cells of protoplasm which are the chief ingredient of the physical body are differently arranged and compounded into the various tissues of the physical form. According to their functions different tissues, thus chiefly composed of protoplasmic cells, have different structures. And the stellar cells of psychoplasm which are the chief ingredient of the astral body are also differently arranged and compounded into the various structures of the stellar form. These structures of the astral body are arranged in the astral body in twelve different zones. These zones are mapped in the birth chart by the twelve zodiacal signs. Aries maps the head zone, Taurus the throat and neck zone, Gemini the arms and hands zone, etc. But in addition to these twelve zones there are also twelve different compartments within the astral body. Each of these twelve compartments has an affinity for the thoughts, feelings and impulses relating to certain phases of the life, and much less affinity for the thoughts, feelings and impulses relating to other phases of the life. Calcium foods when taken into the physical body are not utilized in building muscle, but in building bone and giving tone to the nerves by correcting the excess of other mineral salts in the blood stream. Iron goes at once to the red blood corpuscles; and the fuels to the tissues where needed. That is, some physical foods have an affinity for one department of the physical anatomy and other foods have an affinity for other departments. Thoughts, feelings and impulses are the foods of the astral body, and each type of mental food has an affinity for some one of the twelve compartments of the stellar makeup. Thoughts and feelings which revolve around the personality, immediately they are assimilated, move into section one of the astral body. Thoughts and feelings about money move into compartment two. Thoughts and feelings about brethren, studies and travels quickly congregate together in the third well defined region of the astral form, and so on. Due to variation in human personality and character, these compartments of the astral body in which the stellar cells are retained are not related to the astral bodies of all people alike. In fact, although the order of sequence is always the same, otherwise there is the greatest difference. For instance, the stellar organization relating to money may, in one person’s astral form be in the neck, may in another person’s astral form be in the stomach, may in another person’s astral form be in the knees, and in still another person’s astral form may be in the feet. Each planet in the birth chart maps an organization of thought cells which has much power, and each of these dynamic stellar organizations within the astral body is a receiving station for the energy of the planet which maps its position in the birth chart. That is, where Mars is located by sign and degree in the birth chart is a receiving and transmitting set dialed to the astral frequencies radiated by the planet Mars. Where Saturn is located by sign and degree in the birth chart is a radio receiving and transmitting set tuned to the frequencies radiated by the planet Saturn. And because they are thus tuned to these planetary-vibratory rates they also pick up thought vibrations and character vibrations of a similar frequency; for the vibrations radiated by objects and by thoughts are essentially of the same kind as those radiated by the planets. What I mean by the location of a planet by sign and degree is that if Mars is in the sign Leo in the birth chart the receiving and transmitting set for Mars vibrations is located in the heart of the stellar body. If Saturn is in the sign Aquarius in the birth chart, the receiving and transmitting set for Saturn vibrations is located in the ankles of the stellar body. The stellar organization wherever a planet is located in the birth chart is intensely alive and responsive to the vibratory rates of the particular planet, forming a natural radio set for reception and transmission. And right here is one of the most important things that a stellar healer should understand: Every dynamic thought center mapped in the birth chart by a planet has an antenna, either short or long, for this reception and transmission of the vibratory rates of the planet. If the planet has no aspect, the antenna may be considered merely a short loop aerial, incapable of picking up planetary energy as readily as it would if it were a good long aerial. But when one planet makes an aspect to another planet this builds an aerial stretching through the astral body between the two—or if a conjunction or parallel, around the two—which readily picks up certain vibratory rates and transmits them to both terminals. That is, the energy picked up by this line within the astral body travels to the dynamic structure at either end of the line. These dynamic stellar structures are composed of organizations of stellar cells. Such cells have an intelligence of their own derived from the thought processes which brought them into existence. And the energy thus added gives them power to do work from the inner-plane characteristic of the planet mapping them and the department of life as indicated by their house position. The stellar aerials that thus feed the dynamic structures directly through extending between dynamic structure and dynamic structure, and feed the common thought cells mapped by the same house, or by the house the cusp of which is ruled by the planet mapping the dynamic structure, are strong or weak as indicated by whether or not the aspect between the two planets is more or less perfect. The more nearly perfect the aspect, the stronger the receptive qualities of the aerial. But if the orb is too far from the perfect aspect the aerial becomes so nebulous as to give no aid to reception, and we say the planets are not within aspect of each other. These stellar aerials, stretching through the astral body much as nerves run through the physical body, not only act as instruments to pick up wave lengths broadcast from the planets to the earth, but also, because they run from definite terminals in definite ways, they determine whether the reception is clear and harmonious, or accompanied by inharmony and static. If one end of the stellar aerial is attached to the Mars terminal in the astral body, this insures that it will pick up Mars energy. That is, any astral energy of the frequencies indicated by Mars, whether harmonious or discordant, and whether from the planet Mars, from some object ruled by Mars, or from some person’s aggressive thoughts, that reaches this aerial, is picked up by it. Such an aerial, however, is always attached at the other end to the dynamic thought structure which forms the terminal for another planet. Not only so, but it crosses a portion of the astral body between the two terminals, in a definite way which, as mapped in the birth chart is called an aspect. Due to the length of the aerial and other factors, whatever energy is received over it is given a definite characteristic quality. Of the ten aspects, three are neutral in so far as harmony or discord is concerned, three give the energy received a harmonious trend, and four channel it as discord. But other than their influence over harmony and discord each of the ten aspects gives the energy received a trend which is best expressed by its keyword. These are given in Serial Lesson 47 (Course II, Astrological Signatures). As one end of the stellar aerial mapped by an aspect in the birth chart terminates in one planet’s dynamic structure, and the other end terminates in another planet’s dynamic structure, any aerial is capable of picking up two different tones of energy. That is, it customarily picks up the vibratory energy of either of the planets which map the ends of the aspect in the birth chart. And because these dynamic stellar structures, or thought centers, within the astral body which are mapped by the two planets are located in the particular compartment of the astral body which influences a certain department of life, whatever energy is picked up by the stellar aerial flows into these two compartments through the two types of dynamic stellar structures marking the terminals of the aerials. Furthermore, the energy present in one compartment thus has ready access to, and can, and does, influence the thought cells in the compartment at the other end of the aerial. How the two departments of life thus influence each other is indicated by the planets mapping the influencing terminals and the harmony or discord of the aspect. The influence of the aerial and the thought cells of the dynamic structures reached by it is not confined, however, to the compartments reached by the terminals of the aspect. All the twelve compartments of the astral body are filled with less active common thought cells. The common thought cells within any compartment are influenced and made active by any dynamic stellar structure in it through the principle of resonance. The activity of the dynamic stellar structure mapped by a planet, through the principle of resonance, influences also the activity of the common thought cells of each sign it rules. Through this resonance the common thought cells of a compartment not containing the dynamic structure, but having a sign ruled by the same planet on its house cusp, receives approximately one-half as much energy from an aspect as is received by the compartment containing the dynamic structure. In addition to planetary aerials, the clairvoyant discerns a heavy line running across the astral body in the region marking the sign and degree on the Ascendant of the birth chart. When the birth hour is not known, if this line can be seen, the proper Ascendant can be determined. The ascending degree may also have aerials stretching to the planetary terminals, as may the degree on the M.C. But the Ascendant is unique in that it acts as the grounding wire. That is, it is where the person connects, and exchanges energy through the electromagnetic body and its forces, with his immediate environment. The degree on the Midheaven, however, has almost an opposite function. Such astral energies as find their way to this point are amplified and radiated to the world at large. It is a broadcasting station for the whole astral organism, and the nearer a dynamic structure, as mapped by a planet in the birth chart, is to this point, the more freely its energies are broadcast. Astral energy to reach the local environment flows along the ground wire with the electromagnetic forces. The astral body is grounded, and connected with its immediate physical environment, through the electromagnetic radiations of the physical body. This ground-wire influence of the personality, therefore, reaches only so far as the electromagnetic emanations flow. But the wider influence of the individual is not so determined. It depends upon the amount and quality of the astral energy radiated. Each aerial in the astral body not only picks up, but also radiates, astral energy. And some of this astral energy is brought to a focus in the region of the astral body mapped by the apex of the birth chart. Clairvoyantly the M.C. is marked through the astral body by a sharp blue line. And all such astral energy, whatever its character may be, which reaches the line, is widely broadcast. The sharp blue line mapped by the degree on the M.C. acts as an amplifier. Because the various aerials, mapped by the aspects in the birth chart, remain throughout life, except when changed by individual initiative in the application of the principles of Mental Alchemy, they are called permanent aerials. But in addition to these permanent aerials, or stellar wires across the astral body, which thus persist, there are others which form temporarily. The planets as they move forward by progression through the signs of the zodiac form points of stimulation. 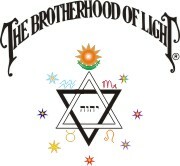 Their energies fall upon the zone of the astral body governed by the sign they are passing through. Thus, regardless of aspect or aerial, they impart a certain amount of energy—about one-half of their birth-chart power if the movement is by major progression—to the thought cells of the zone, and thus give the thoughts, feelings and impulses of the compartment indicated more than their normal activity. And this is true whether the planet moves through the sign by major progression, by minor progression, or by transit; although the amount of energy thus imparted by major progression is 27.3 times as much as by minor progression, and 365¼ times as much as by transit. Major-progressed Moon carries about 1/7 the power of the other planets when similarly making aspects, that is, it imparts about 1/14 of its birth-chart power to the zone or compartment through which it moves. When such a progressing planet makes an aspect, either to the place of a planet in the birth chart, or to the major-progressed position of another planet, there is formed within the astral body a line of stellar substance connecting these two points. That is, the progressed aspects map temporary aerials that form and dissolve within the stellar form. They are temporary, but while they last they pick up and transmit the energy of the two planets making the aspect to the compartments within the astral body. Energy is thus temporarily added in much volume, and in harmony or discord characteristic of the aspect, to the stellar cells influencing the indicated department of life. In our extensive statistical studies we have found that when Mars or the Sun is involved, and at the same time there are other heavy progressed aspects which act as Rallying Forces, the indicated event may occur when the progressed aspect is as much as a degree and a half from perfect. But as a general rule, the effective orb within which the event indicated by a progressed aspect takes place is one degree from the perfect aspect. Before it reaches one degree from perfect, the line across the astral body usually has not become dense enough to act as an effective aerial. But at one degree from perfect it is dense enough to pick up about one-half the peak load of the aspect, gradually increasing in power until the peak is reached when the aspect becomes perfect, then decreasing gradually in power until at one degree beyond perfect it picks up only about one-half the peak load, past which point it usually has dissolved so far that it is no longer an effective receiver. Each individual, according to the thought composition of his stellar cells, and the permanent aerials connecting terminals in the dynamic structures of the various compartments of his astral body, has a normal relation to each department of life. That is, the average financial fortune, the average honor, the average health, etc., for each individual is different, depending upon the activity and harmony or discord of the stellar structure in the compartment of his astral body related to the particular department of life. Temporary stellar aerials that last over many years, and when a major-progressing planet moves into an adjoining house of the birth chart, have an influence on the thought cells and consequently the life. But the conditions influenced by them last so many years that they come to be considered normal conditions for the individual. But starting with such a normal state of affairs for the individual, statistics compiled from the analysis of many thousands of events in which the birth chart has been erected and the major-progressed positions of the planets placed around the outside of the chart for the date of the event—2,000 such events thus analyzed in the book WHEN AND WHAT EVENTS WILL HAPPEN, and 700 more in the book BODY DISEASE AND ITS STELLAR TREATMENT—show that variations of consequence from this normal never occur except when there is a major-progressed aspect involving the planet characteristic of the type of event and ruling the house of the chart governing the department of life affected. Events of consequence only take place during those periods when, due to the formation of major-progressed aspects, the thought cells that know how to work from the inner plane to bring the particular type of event to pass, gain enough additional energy that they can exert far more than normal extraphysical power on the individual’s thoughts, on his behavior, and on his physical environment. There are two methods which are sometimes employed in determining the amount of the ordinary utility service bills. One is the flat-rate method. The other is the metered method. In the flat-rate method the householder is charged a fixed rate per month for the water he uses, a fixed rate per month for the gas he uses, a fixed rate per month for the electricity he uses, and a fixed rate per month for his telephone service. While the flat-rate method is still largely employed for the home telephone, the metered method, in which payment is proportional to the number of calls made, is now finding favor for business phones. But it is now customary to install a water meter which measures the amount of water used in the home, and to charge for the precise amount of water used. It is now customary to use a gas meter which measures the amount of gas used in the home, and to charge for the precise amount of gas used. And it is now customary to employ an electrical meter and to charge for the precise amount of electricity used. There was a time when such meters for the home were unavailable. The flat-rate method of charging for utility services was then the custom. In astrology, the flat-rate method of estimating the power of a given planet, a given aspect, a given sign or a given house in a birth chart has almost universally been used, because hitherto there has been no precise method of measuring such power. The flat-rate method in astrology is the method of inspection. And it has the advantage of being adapted to mass production; that is, to analyzing a large number of charts without much labor. 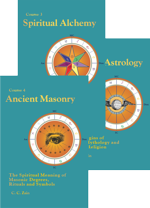 But there are various other instances in the practice of astrology in which it is desirable to know not merely that an aspect is powerful, but HOW MUCH power is represented by the given aspect in a chart. This may show, for example, how much the activities of one house will affect the activities of another house, or how much the things ruled by one of the planets will influence the things ruled by the other planet. There are still more instances in which it is valuable to know HOW MUCH the total power of a planet is. The aptitude of the individual to develop abilities of a certain type is indicated by the prominence of a given planet. The more POWER the thought cells mapped by this planet have the easier it is to develop abilities of this type, and the more ability of this type can be developed. As shown by statistical analysis in the book, HOW TO SELECT A VOCATION, aptitude for a given vocation depends upon the prominence of one or more specific planet. The more POWER these vocational constants have, the more aptitude the individual has for the vocation. Events, such as accidents, and conditions, such as length of life, are more common and more pronounced in the lives of people who have certain planets prominent. The more POWER these planets have which are the birth-chart constants of the event or condition, the more likely the event or condition is to be present in the life. As shown by statistical analysis in the book, BODY DISEASE AND ITS STELLAR TREATMENT the prominence of certain planets in the birth chart indicates a predisposition toward a given type of disease. And the more POWER these birth-chart constants of the given disease have, the greater the predisposition toward developing that particular disease. It is also highly valuable to know HOW MUCH power is possessed by certain houses of the chart. The activity of a given department of life is indicated by the POWER of the house governing that activity. As shown by statistical analysis in the book, HOW TO SELECT A VOCATION, an individual, regardless of his ability, is not apt to become a doctor who has an inactive sixth house or an inactive twelfth house; nor, regardless of dramatic talent, is he apt to become a movie actor if he has an inactive first house or an inactive fifth house. Nor is he apt to take frequent long journeys if he has an inactive ninth house. The more POWER a house has, the more important the things of the department of life ruled by this house tend to be in the life. Not only is it valuable to know at times, HOW MUCH POWER is possessed by a given aspect, HOW MUCH POWER a planet in the birth chart possesses, and HOW MUCH POWER a certain house of the chart has, but there are also times when it is desirable to know HOW MUCH POWER is possessed by a given sign. Types of physical environment, many objects, certain names, certain numbers, and certain gems have definite rulership by zodiacal signs. The AMOUNT of influence over the life of associating closely with something, or living in an environment, ruled by a certain zodiacal sign is dependent upon the POWER of that sign in the birth chart and progressed chart. The zones of the body afflicted by disease are indicated by the zodiacal signs. Not merely the discord, but also the POWER of a given sign in the birth chart and progressed chart, have an influence on which part of the body is most apt to be attacked by disease. Those practicing other sciences are not content to guess from inspecting the machinery or the result of some force how much power is involved. To deal more precisely with nonphysical electromagnetic force science established standard units and gave names to them by which it measured this Boundary-Line force and its attributes. Luminous intensity is thus measured and expressed by the unit known as Candle Power. The unit of electric current is the Ampere, the unit of the potential of the current is the Volt, and the unit of the resistance to the current is the Ohm. Not only was it necessary for science to establish such standard units, but it was necessary to devise mathematical methods for determining the number of each unit of the Boundary-Line force present under a variety of circumstances. And to facilitate such calculations the ampere and the volt were given values so that the product of the current measured in amperes by the electromotive force measured in volts at any instant equals the unit of power, which is called a Watt. One thousand watts (one kilowatt) is approximately equivalent to 1.34 horsepower. The ordinary domestic lighting system carries 110 volts. The three transmission lines from Boulder Dam to Los Angeles each carries 275,000 volts. No doubt with practice an individual could learn to estimate fairly well the comparative luminosity of two electric light bulbs by inspection; but in purchasing such light bulbs for use in the home, or for special purposes, it is a great convenience, and reduces error, to find each bulb marked with the number of watts of electricity it uses. When one purchases a 100-W bulb he is confident the light will not be strong enough to blow a fuse, but will be strong enough for a reading lamp. As the attainment of unusual precision requires painstaking work, it does not lend itself to mass-production methods. Because of the amount of work involved in gaining precision, in our statistical work relative to birth charts and progressed aspects, in which 100 charts covering each condition analyzed are used, we employ the mass-production method of inspection. And for broad purposes such inspection and mental estimation of the power of a given position or aspect in the birth chart or in the progressed chart commonly are sufficient. But there are many other instances, such as when it is difficult to diagnose the disease afflicting a patient, and especially relative to one’s own chart on which one is warranted in doing much work, in which it is highly advantageous to gain greater precision than can be had through such inspection. When the amount of work involved is mentioned there is no implication that it is either very heavy or difficult. For one familiar with the method—which consists merely of the addition, subtraction, multiplication and division of small numbers containing two-place decimals—it takes about five hours’ work to calculate and tabulate not merely the power in astrodynes of each and every aspect, planet, sign and house in a chart which has already been erected, but to calculate and tabulate also the harmony expressed as harmodynes or the discord expressed as discordynes of each and every aspect, planet, sign and house of the chart. Anyone is justified in putting in five hours’ extra work to get such precision on a chart of importance. 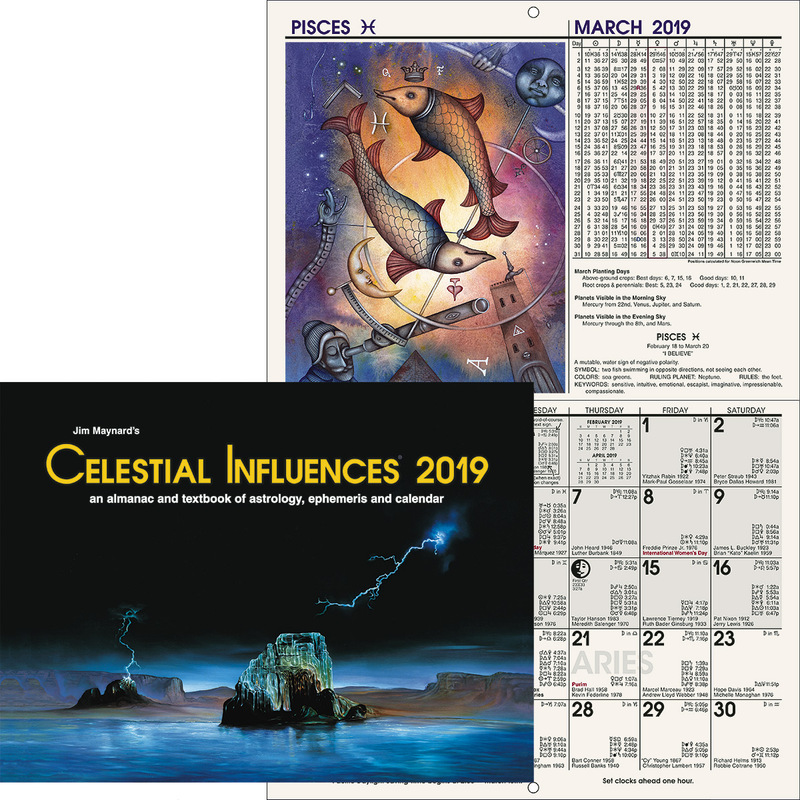 But when handling hundreds of charts statistically, five extra hours on each chart is far more than can be spared of the at-present limited time of The Church of Light Astrological Research Department. Even as was necessary to gain precision in dealing with electromagnetic force science had to establish standard units and mathematical methods, so also to deal more precisely with astrological force we have had to establish standard units and give them names for the measurement of astrological power, the harmony of the astrological power, and the discord of the astrological power; and have had to, devise mathematical methods of computing them. Dyna, used as a prefix, means power. Dyne is a standard unit of force in physics. Astrodyne, as the unit of astrological power, was first used by Lawrence W. Dunsmoor in the January 1939, issue of The Rising Star. 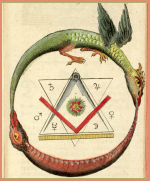 Harmodyne, as the unit of astrological harmony, and discordyne as the unit of astrological discord, were first used in 1946 by Elbert Benjamine and W. M. A. Drake. Elbert Benjamine and W. M. A. Drake worked out the mathematical method of computing the number of astrodynes, harmodynes and discordynes represented by each birth-chart aspect, planet, sign and house, and by each progressed aspect, planet, sign and house and combination, during the year 1946. They explained and illustrated the method in great detail in The Rising Star, commencing with the May issue, 1946. In this course on Stellar Healing space does not permit illustrating the method in so great detail. But as the professional healer should have in his possession a tool to give him precision in diagnosis, the method will be explained in these lessons, and illustrated in sufficient detail to enable it to be thoroughly understood and applied. In considering the power of a planet there are three things to be considered: (1) houses; (2) aspects; (3) the unmodified power of the planet. 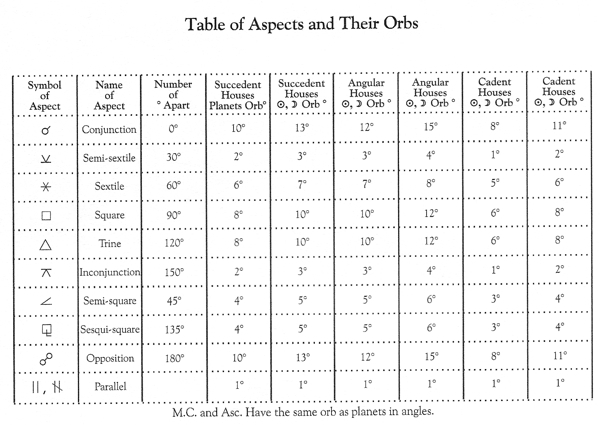 In reference to (2) and (3) the B. of L. Table of Aspects and their Orbs given above, which during more than a quarter of a century has been found reliable, is used as the basis of computation. For the power given by each of the twelve houses, the table of house power, below, has been carefully worked out. As addition and subtraction of U.S. currency employs decimals to two places, no reminders will be needed on these operations. The house position of a planet contributes one factor of its power. The cusp of each house is its strongest point, and the cusp of the next following house is its weakest point. The variation due to the planet’s distance from the weaker cusp is added to the power of the weaker cusp, or the variation due to the planet’s distance from the stronger cusp is subtracted from the power of the stronger cusp. This gives the power of the planet due solely to its house position. RULE: To find the variation due to the distance a planet is from a house cusp, multiply the number of degrees the planet is from the house cusp by the variation for the house as a whole and divide the product by the number of degrees in the house, carrying to two decimal places. Mercury has no wider orb than have the other planets, but for reasons to be explained later and verified by much observation, Mercury when it is within orb has more power than the other planets. Therefore in calculating the power of Mercury when it is within orb of an aspect, it is handled as if it had the orb of Sun or Moon. Other than Mercury, the power of a planet due to an aspect in the zodiac is the number of degrees the planet is from the orb limit of the aspect, plus a decimal representing the remaining minutes the planet is from the orb limit of the aspect. 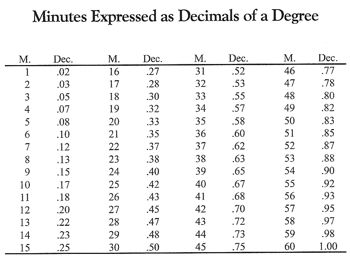 RULE: Divide the number of minutes by 60 and carry to two decimal places. RULE: Multiply the number of minutes by the number which represents the perfect parallel and divide the product by 60, carrying to two decimal places. The perfect parallel has the same power as have the same planets when making the perfect conjunction in the more powerful of the houses occupied by one of the two planets. Mercury is given the same power when involved in a parallel as would be given Sun or Moon in the same house making the same parallel aspect. 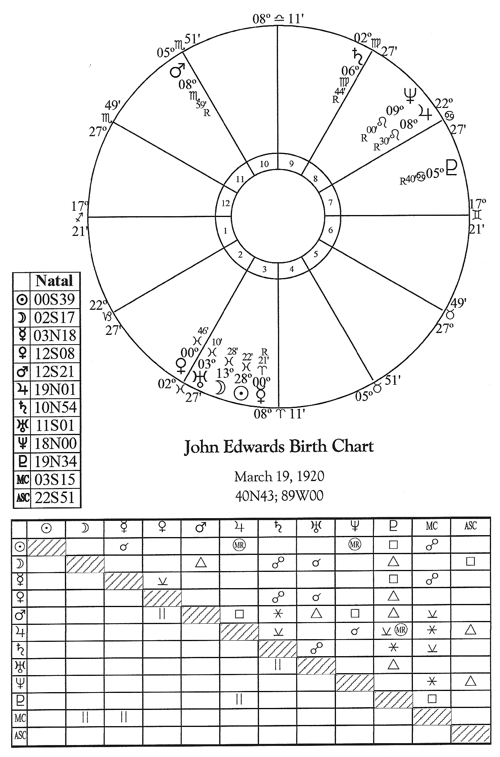 For our example chart, we will use that of John Edwards, March 19, 1920, 0:40 A.M., C.S.T., 89W. 40:43N. The chart is illustrated below. I believe as the total power of each planet is given in Chapter 2 (Serial Lesson 198) and a grill showing the power of each aspect is given in Chapter 3 (Serial Lesson 199) against which the student can check his own calculations, that it will be sufficient illustration of the method of computing the power of each aspect and the total power of each planet if we here set forth the calculations for Moon and Mercury only. Because Mercury in this chart is in a cadent house, and the Sun or Moon in a cadent house has no wider orb than a planet in a more powerful house, Mercury has no advantage in this chart over the other planets. But to show the manner of handling Mercury when in other houses, I will indicate in parentheses what its power would have been if it had been in an angle. The Moon is in the third house, 11°18′ from the cusp of the third. The Table of House Power gives a value of 8.00 to the stronger cusp and a variation of .50 between the cusp of the third and fourth. The house contains 36 degrees. Multiplying 11.30 by .50 gives 5.65. Dividing 5.65 by 36 gives .16 as the variation for the 11° 18′. Subtracting .16 from 8.00 gives the power of the Moon due to Position alone as 7.84 astrodynes. The trine orb of the Moon in cadent houses, as given in the Table of Aspects and their Orbs is 8°. The Moon is 4° 30′ from perfect trine Mars. Subtracting 4° 30′ from 8° 00′ gives 3° 30′ as the distance the aspect is from its outer limit. 30 divided by 60 gives .50 as the power of the 30′. Adding this to 3 gives the power of the aspect as 3.50 astrodynes. The opposition orb of the Moon in cadent houses is 11°. The Moon is 6° 45′ from perfect opposition to Saturn. Subtracting 6° 45′ from 11° 00′ gives 4° 15′ as the distance the aspect is from its outer limit. 15 divided by 60 gives .25 as the power of the 15′. Adding this to 4 gives the power of the aspect as 4.25 astrodynes. The conjunction orb of the Moon in cadent houses is 11°. The Moon is 10° 18′ from perfect conjunction Uranus. Subtracting 10° 18′ from 11° 00′ gives 42′ as the distance the aspect is from its outer limit. Dividing 42 by 60 gives the power of the aspect as .70 astrodynes. The trine orb of planets in an angle is 10°. The Moon is 7° 50′ from perfect trine Pluto. Subtracting, 7° 50′ from 10° 00′ gives 2° 10′ as the distance the aspect is from its outer limit. Dividing the 10 by 60 gives .17 as the power of the 10′. Adding this to the 2 gives the power of the aspect as 2.17 astrodynes. The Moon is 59′ from perfect parallel M.C. As the parallel has the same power as the conjunction, and the M.C. is an angle, the power of the perfect parallel is 12. Subtracting 59′ from 60′ gives 1′ as the distance the aspect is from its outer limit. Multiplying 1 by 12 gives 12. Dividing 12 by 60 gives the power of the aspect as .20 astrodynes. The square orb of planets in an angle is 10°. The Moon is 3° 50′ from perfect square Asc. Subtracting 3° 50′ from 10° 00′ gives 6° 10′ as the distance the aspect is from its outer limit. Dividing the 10 by 60 gives .17 as the power of the 10′. Adding this to the 6 gives the power of the aspect as 6.17 astrodynes. Now let us add the numbers we have obtained for the house position and each aspect made by the Moon. 7.84 plus 3.50 plus 4.25 plus .70 plus 2.17 plus .20 plus 6.17 gives the total power of the Moon as 24.83 astrodynes. Mercury is in the third house 7° 50′ from the cusp of the fourth. 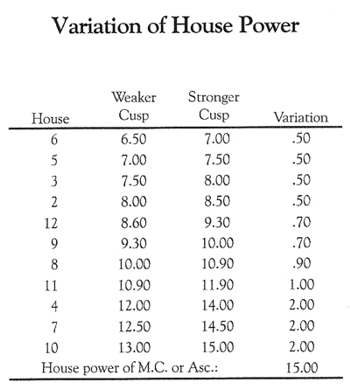 The Table of House Power gives a value of 7.50 to the weaker cusp and a variation of .50 between the cusp of the third and fourth. The house contains 36 degrees. Multiplying 7.83 by .50 gives 3.92. Dividing 3.92 by 36 gives .11 as the variation for the 7° 50′. Adding .11 to 7.50 gives the power of Mercury due to Position alone as 7.61 astrodynes. The conjunction orb for the Sun in cadent houses is 11. Mercury is 1° 58′ from perfect conjunction Sun. As Sun is involved, and thus the wider orb used, Mercury is given no additional advantage. Subtracting 1° 58′ from 11°00′ gives 9° 02′ as the distance the aspect is from its outer limit. 2 divided by 60 gives .03 as the power of the 2′. Adding this to the 9 gives the power of the aspect as 9.03 astrodynes. Mercury is 3′ from perfect parallel M.C. As the parallel has the same power as the conjunction, and the M.C. is an angle, the power of the perfect parallel is 12. (Had Mercury been in the fourth house it would have been 15.) Subtracting 3′ from 60′ gives 57′ as the distance the aspect is from its outer limit. Multiplying 57 by 12 gives 684. Dividing 684 by 60 gives the power of the aspect as 11.40 astrodynes. Now let us add the numbers we have obtained for the house position and each aspect made by Mercury. 7.61 plus 9.03 plus 1.57 plus 4.70 plus 4.17 plus 11.40 gives the total power of Mercury as 38.48 astrodynes.